Geography/Culture: South America: Chibchas of Columbia. It is said She first appeared on the shores of the Lake Iguaque, located a few miles northeast of the city of Tunja. Description: First Mother; She Who, at each delivery, bore four to six children and so brought forth the human race; Divine Ancestress; Mother Spirit of the waters; She Who emerged from Her mountain lake with the three year old child who became Her consort; Goddess of vegetation, fertility and harvest; Protectress of agriculture; She Who taught the arts of civilization -- peacefulness, order, religious rites and good manners -- to Her children. To Whom are sacred: water-snake (which form both She and Her consort assumed, after many generations, on their departure from the world of humanity); dragon (some say they assumed the form of dragons); incense made from forest resins (burned in Her honor by the waters of the Lake of Emergence). Male associate: son/consort, the child She brought with Her from the Lake. 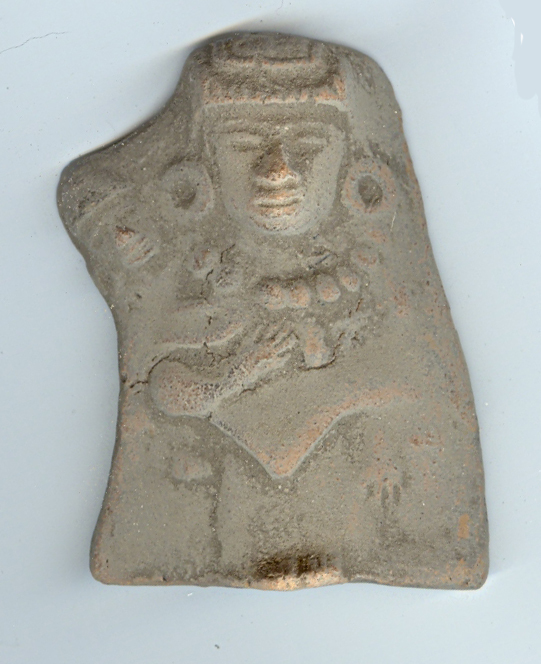 See also Jubchas-Guaya, another Chibcha Goddess. Sources: Cotterell DWM 174; Funk & Wagnall SDFML 101; Larousse NLEM 441; Monaghan 41-42; Osborne SAM 110; Stone AMWv1 89-90.
worked on: August 6, 1991; April 27, 1992.